André Bruwer is the current owner of Bon Courage Wine Estate. He was born in Robertson in 1942 on the farm Goedemoed – ”Good Courage”. He matriculated in 1959 and is today the only person of his class who remains in Robertson. After school, like so many other well-known winemakers, he studied at Elsenburg Agricultural College in Stellenbosch. He joined his father on the farm in 1965 and soon initiated a project of expansion and modernization. More land was bought and novelties like drip irrigation was introduced. In 1983 the farm became a wine estate and a small selection of Bon Courage wines entered the market. By now, André had received his first ”Superior” award, which was to be followed by many more since he already from day one had decided to focus on the production of premium wines. He was rewarded accordingly and in 1984, 1985 and 1986 he became ”South African Champion Estate Winemaker Of The Year”, thereby putting the Robertson Valley on the wine map. André was also the first winemaker of the area to receive the prestigious ”Diners Club Winemaker Of The Year Award” in 1990. After a study trip to California he pioneered night harvesting, underground cellar maturation and mechanical harvesting to the area. He also had a first brush with making traditional method sparkling wine. For André it was a personal ambition and triumph to put Robertson on the map as one of South Africa’s premium wine growing regions. 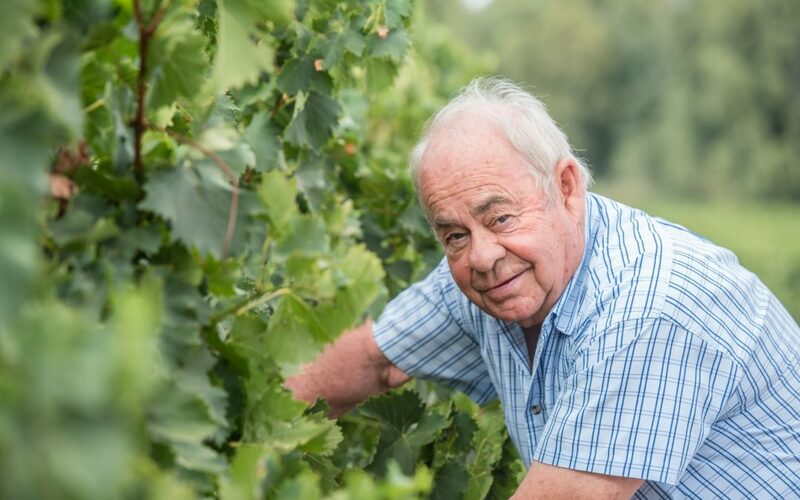 Through his hard work and dedication he has proved that the area is able to produce some of the country’s very best wines, acknowledged and rewarded both in South Africa and internationally. For the staff at Bon Courage, André has always been an inspiration.